In the world of the Nurburgring, few names are as synonymous with the infamous German racetrack as German female racing car driver Sabine Schmitz. In the latest video to feature the racing driver, Schmitz teamed up with Ron Simons for one epic battle around Green Hell. 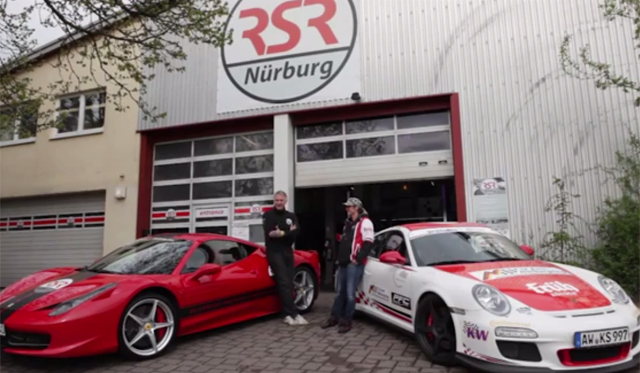 In one corner is Schmitz’s slightly modified Porsche 997.2 911 GT3 RS and in the other is Ron Simons and his Ferrari 458 Italia and as we’re sure you already know, these two European supercars are the closest of rivals with very similar performance capabilities. As you would expect of any video of this sort, it begins with the two drivers criticising each other’s rides with Simons calling his Ferrari 458 Italia superior to Schmitz’s 911 and Schmitz stating the Ferrari 458 Italia is nothing more than a Fiat piloted by an old Dutch man. 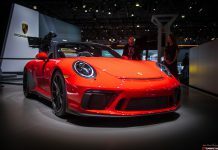 The Porsche 911 GT3 RS features an uprated 3.8-liter flat-six engine from the previous-generation Porsche 911 GT3 RS. This powerplant produces an impressive 444hp, which is 35hp more than the 997 generation car. On the other hand, the Ferrari 458 Italia features a much larger 4.5-liter V8 producing 570hp meaning the Italian supercar can launch to 62mph in just 3.4 seconds and a top speed of around 200mph. Which one do you think will be victorious in this epic battle?